Superheroes by Day! Vigilantes by Night! 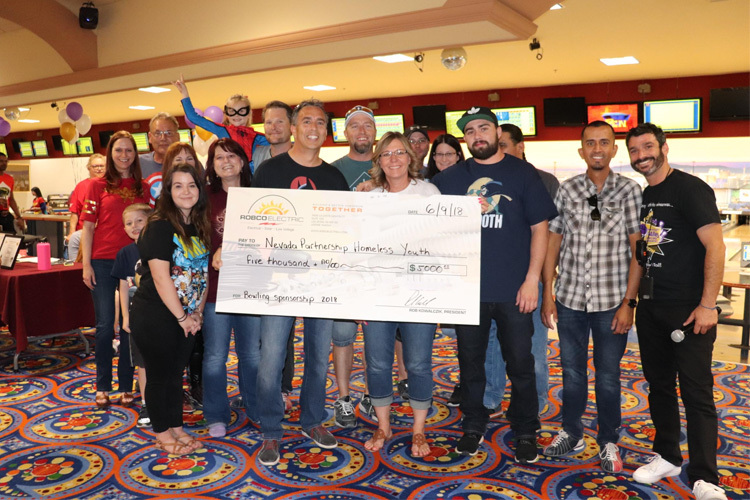 Fellow superheroes and vigilantes, join the forces of good on Saturday, May 11th at the Suncoast Bowling Center for the Nevada Partnership for Homeless Youth’s 10th Annual Homeless Youth in the Alley (HYA) Bowling Tournaments! Yes, that’s right, tournaments. Since last year was such a great success, NPHY will host two family-friendly events again this year – one in the afternoon and one in the evening with a DJ, and cosmic bowling. 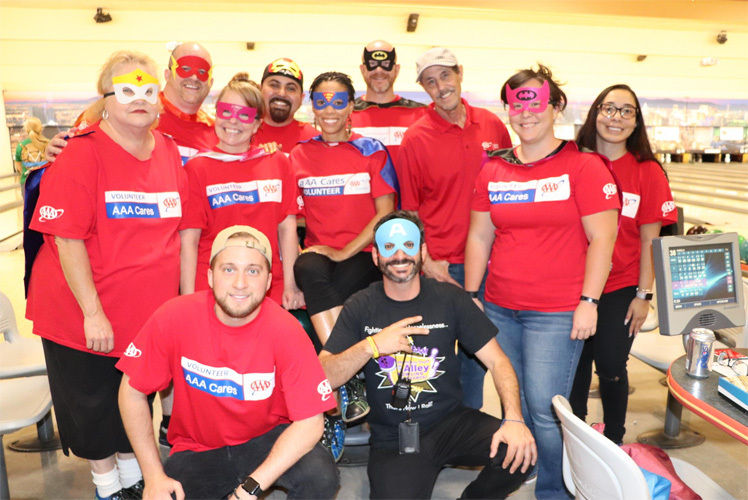 Both events will feature an exciting bowling tournament with give-a-ways, a superhero and vigilante costume contest, food, a raffle, a photo booth, and more – all for a worthy cause. This website is your superhero headquarters! 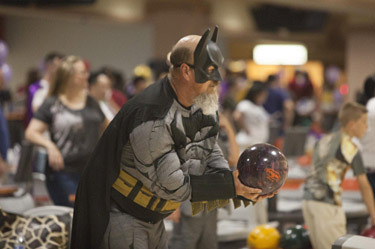 Here, you can sign up as an individual bowler or as an entire team of caped crusaders. This will also be your fundraising headquarters leading up to the tournament, where you can direct your family, friends, and coworkers to support your heroic mission to fight youth homelessness. If you can’t make this mission, you can still help support your favorite team or bowler by donating on their behalf. 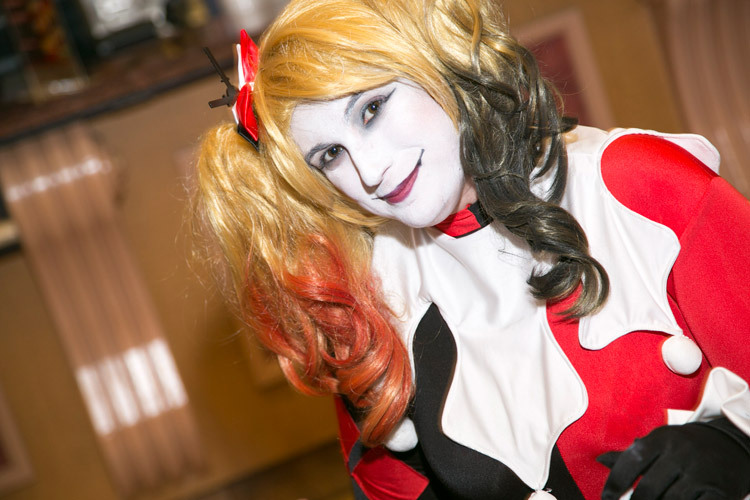 Be a superhero for homeless youth! Each superhero who purchases a ticket to this family-friendly event will receive unlimited bowling from registration until the end of the event, food and refreshments, a tournament souvenir, a photo booth, a gift bag, and an opportunity to win some amazing prizes. Teams consist of five players and superheroes who sign up without a team will be placed on a team the day of the event. Only the first game will count toward the tournament score. Each bowler will have unlimited bowling after the first recorded game until the end of the event. Fight for justice for homeless youth! Each vigilante who purchases a ticket to this event will receive unlimited cosmic bowling from registration until the end of the event, food and refreshments, a tournament souvenir, a gift bag, and more opportunities to win some great prizes. The event will also feature a photo booth and a DJ. Teams consist of five players and vigilantes who sign up without a team will be placed on a team the day of the event. Only the first game will count toward the tournament score. Each bowler will have unlimited bowling after the first recorded game until the end of the event. 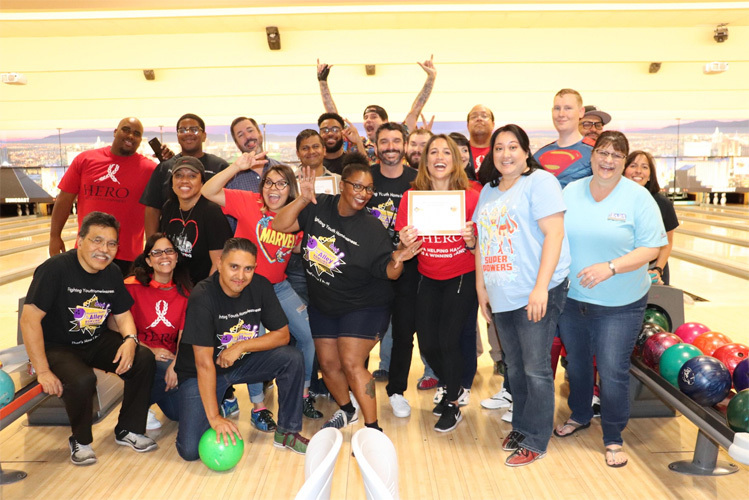 Gather your squad to form a team or sign up as an individual bowler to bowl with other players who care about doing good while having fun. HYA is a great team-building exercise for your office, community group, church, or other group and it is also a fun afternoon or evening out for a family. For all of your courageous efforts, we have great rewards for participants of both tournaments! 1st, 2nd, and 3rd place team members will each receive epic HYA trophies to take home. The 1st place team’s name will also be displayed for one year on NPHY’s very special life-size trophy and memorialized thereafter at NPHY’s Drop-In Center! We’ll also be awarding prizes for best costumes, successful fundraisers, and most creative team names. 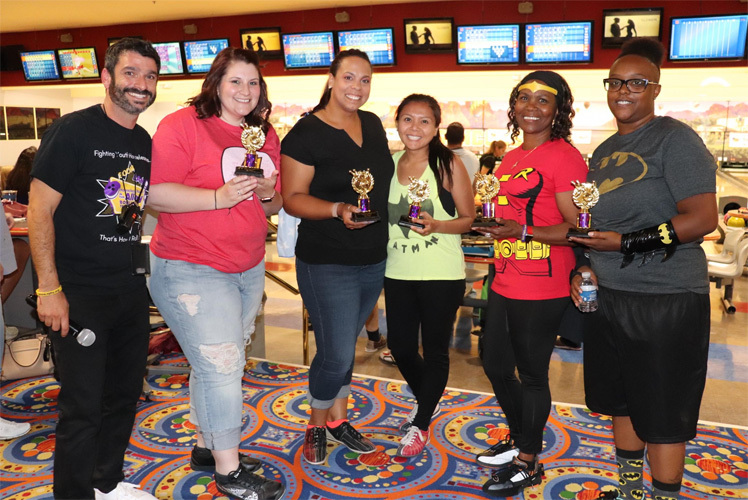 Team Captain – Recruit your bowling team and be the driving force behind your team’s fundraising and costume efforts and make the executive decision on your winning squad name! 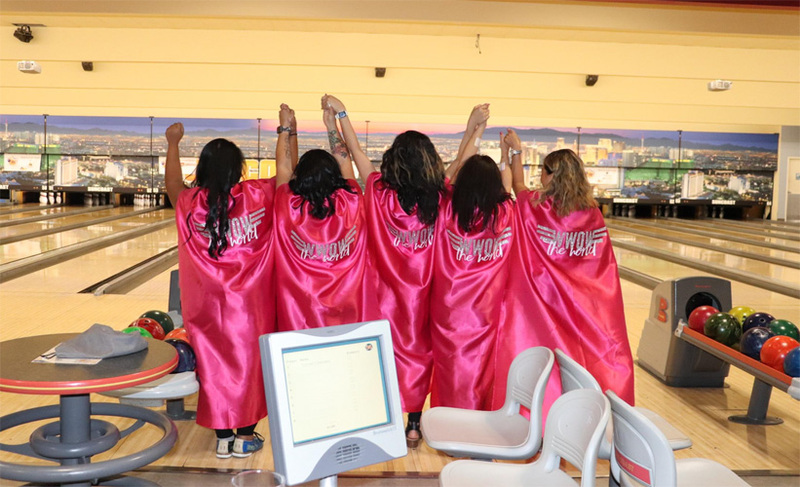 Bowler – Join a team, collect donations, make an awesome superhero or vigilante costume and be a hero supporting NPHY’s work with Southern Nevada’s homeless youth. Don’t have a team? No problem. We will pair you up with a team of NPHY heroes! Donor – We understand you’re busy saving the world, but you can still help. Make a donation to your favorite bowler or team to help raise funds for NPHY. Sponsorships – Check out our sponsorship opportunities to see how you can make a difference in the lives of homeless youth and let us spread the word about your business being a superhero or vigilante squad working to change the lives of homeless youth in our community. Donate Prizes – Help motivate teams to play hard and raise funds by donating prizes or raffle items. Tell a Friend – Be sure to tell all your friends about your heroic efforts and encourage them to get involved. Share the flyer at work or on social media. Download the Afternoon Event Flyer or the Evening Event Flyer. All proceeds from this event will support NPHY’s life-changing services for homeless youth. We gladly accept in-kind donations of goods or services to be used in our raffle or as a tournament prize. In return for your generosity, you will be acknowledged at the event. To Eliminate Homelessness Among Nevada’s Youth. All homeless youth in Nevada share the same opportunities for a quality future enjoyed by others in our community. Homelessness among youth is a growing crisis in the Las Vegas Valley, the state of Nevada, and the United States. For more than a decade, the Nevada Partnership for Homeless Youth (NPHY) has provided Southern Nevada’s unaccompanied homeless youth with help, hope, and the opportunity to rebuild their lives. 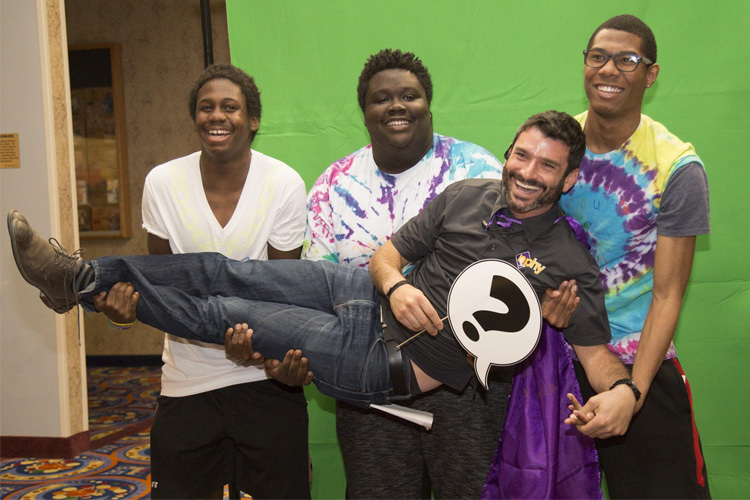 NPHY is the most comprehensive service provider for the thousands of homeless youth in Southern Nevada, serving hundreds of youth through our core programs and touching the lives of thousands more through outreach each year. NPHY’s programs stabilize homeless teens’ lives, meeting their immediate needs and providing a safe, supportive environment and a path to self-sufficiency. NPHY provides access to life-saving services for homeless youth 24 hours a day at virtually every street corner in Southern Nevada. Programs include: Outreach, Safe Place Mobile Crisis Intervention, Operation Go Home Family Reunification, Drop-In Center, Emergency Shelter, and Independent Living Program, and PowerON! Collaborative Mentoring Project. Through our work with homeless youth, NPHY creates productive, healthy adults who contribute to society. Strengthening and complementing our high-quality direct services for homeless youth, NPHY is dedicated to advocating for the Vegas Valley’s homeless youth population and serves as a leader in systems-level efforts to eliminate homelessness among Nevada’s youth. To learn more about NPHY’s critical work to get homeless youth off the streets, please visit www.NPHY.org.